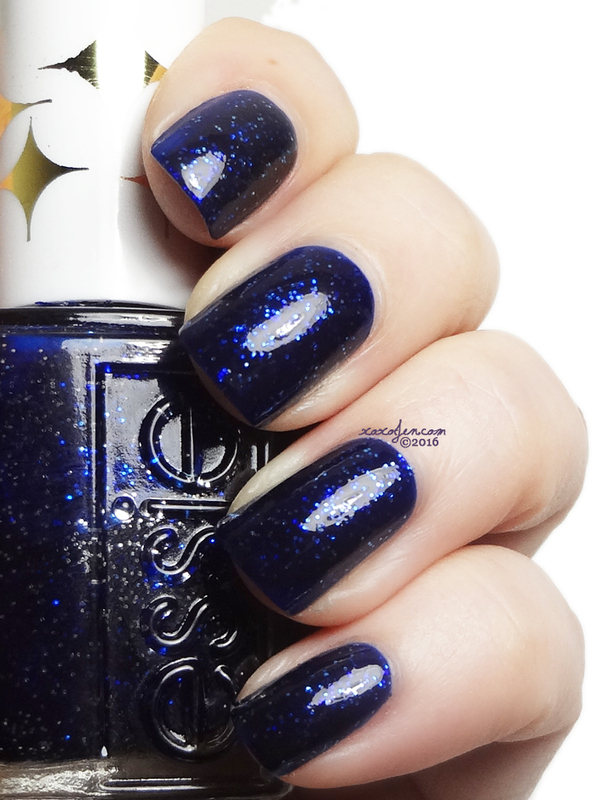 Essie Starry Starry Night has been a lemming of mine since I started blogging back in 2009. I'm super excited to finally have it in my hands! I am aware it's not exactly the same as the original, but this is good enough for me! I got mine from a sweet gal on Facebook who found them in a local store back in December. She bought all they had and was kind enough to offer them to people in our group so I jumped at the chance! In checking just now, this polish is available at Beauty.com and sold out on Amazon, but there's an option for email notification there if you prefer Amazon. Essie.com appears to be stocking it, but the cart is powered by Beauty.com and it looks like Ulta stocked the collection but SSN is currently sold out there. Don't fret though - it is said to hit stores soon! Are you excited about SSN? Have you ordered yet? Do you have the original? Let me know in the comments below! Its a gorgeous color and its great you were able to get your hands on it. Hi Jen! I'm sort of disappointed in the swatches of this color that I've seen around the internet -- especially after all the hype. =( It's just a bit blackened and dreary for my taste and add to that Essie's "goopy" formula (you called it, Girl! ), and I can pass on it. I MUCH prefer my OPI "Give Me Space" from their holiday 2015 collection: it's a brighter, more cheerful blue, holographic so shinier and more reflective, and of course a great formula. PS: I hope you had a wonderful holiday season! It's sad to hear that but you're absolutely on point about the OPI. I've been eyeballing a few in that collection! I should probably get on the ball and get those ordered before they're gone. Thank you, I had a great holiday and hope you did too! You're welcome! Happy 2016 to you too Valentina!